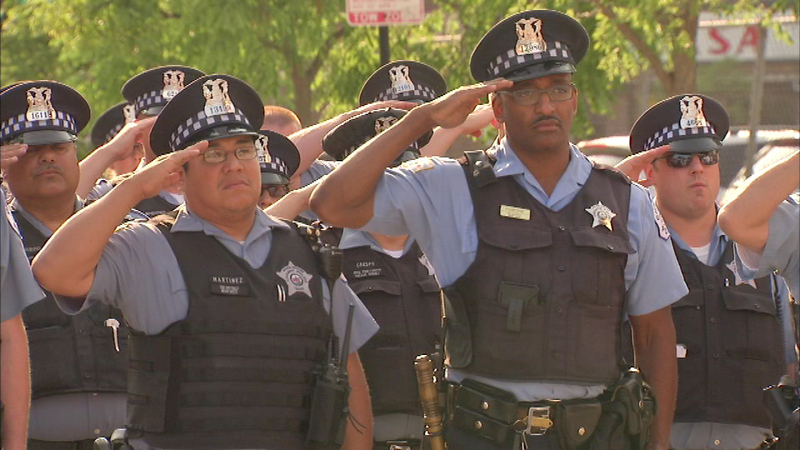 Chicago police officers paid tribute to one of their own killed in the line of duty 14 years ago. CHICAGO (WLS) -- Chicago police officers paid tribute to one of their own killed in the line of duty 14 years ago. In June 2001, Officer Brian Strouse was shot and killed while conducting surveillance of gang activity at 18th Place and Loomis. Fellow officers conducted a roll call there on Tuesday night in honor of the Marine Corps veteran. Strouse served six years with the Chicago Police Department.